During my raspberry pie breakfast, I kept hearing incesent beeping. Regular, long periods of honking. There’s been a lot of noise in the neighborhood recently – our train station is under construction – air horns, rumbling, and some honking, but this was… new. Leaving my house I saw a line of young women with red signs at the elementary school across the street. Strike! 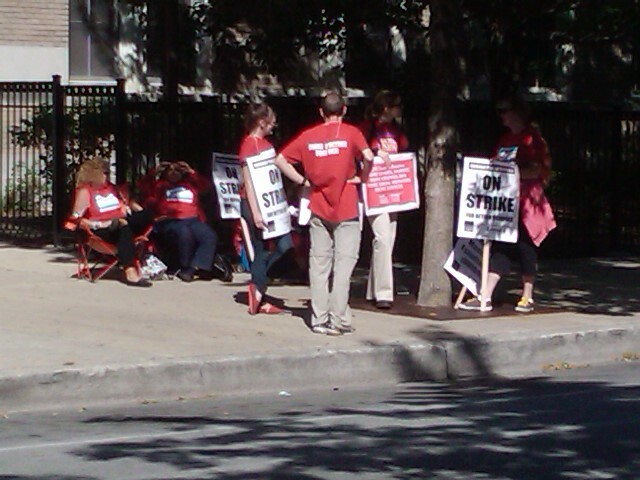 After 10 days of warning and negotiation, the teachers of Chicago are out of the classroom and on the street.